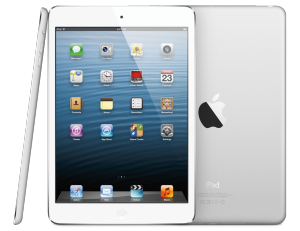 APPLE iPAD MINI and the RETINA DISPLAY 4TH GENERATION IPAD are coming to INDIA finally. There has been no official announcement by the Apple but the online retailer Saholic.com has claimed to ship these devices from December 8th. Let me refresh your memory if anyone of you have forgotten about the devices. The iPad Mini is the smaller version of the famous iPad and comes with a smaller 7.9 inch display compared to the 9.7 of the regular iPad. The tablet has a dual core A5 processor, running Apple's brand new iOS 6 operating system. The device comes in two models - 3G + WiFi and only WiFi version. The storage options are similar to that of the iPad 3 with 16 GB, 32 GB and 64 GB options. It also features a 5 megapixel rear camera at the back, a front camera with 1.2 megapixel resolution, new lightning connector and a 16.3 watt hour battery pack that promises up to 10 hours of backup time. Fourth Generation iPad, on the other hand, is of the same size as the regular iPad but brings in few changes like the new lightning connector, retina display and faster new Apple A6X System-on-Chip mobile processor and a quad-core graphics chip. 0 Respones to "APPLE IPAD MINI AND 4TH GEN. IPAD Land in INDIA Finally"